Shakespeare’s Hamlet had a lot on his mind — namely, the “slings and arrows of outrageous fortune.” But if he’d been kicking it in the 21st century (with the freshly-launched Twitter Analytics at his royal disposal), maybe his fortune wouldn’t seem so outrageous. The Prince of Denmark would have been able to track his social fortune, putting a stop to any natural shocks that came about from seemingly random follows, unfollows, retweets, mentions and favorites. If Hamlet used Twitter — and the analytics that come with it — perhaps he wouldn’t have been so down; he could have tracked Claudius, Gertrude and Ophelia’s social media musings and in doing so, gain better understanding of what was working in their relationships and what wasn’t. Social media produces almost double the marketing leads of trade shows, telemarketing, direct mail or PPC. 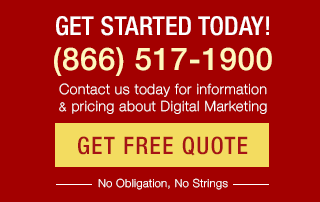 Social media lead conversion rates are 13 percent higher than the average lead conversion rate. Social media tracking strengthens your social campaigns by giving you insight into what’s working and what’s not — and also when, where and why tweets are working for you. 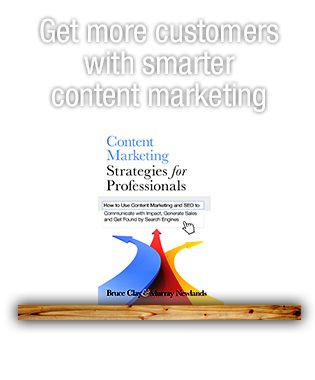 Internet marketers and social media managers, fear not. 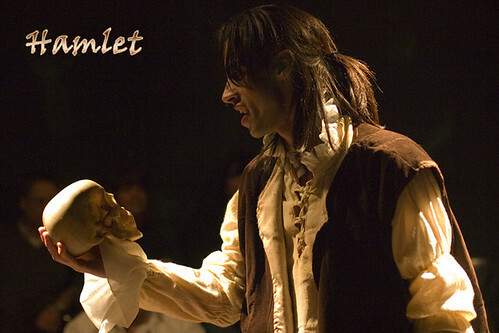 You, unlike the Twitter-less Hamlet, can track to your heart’s content. 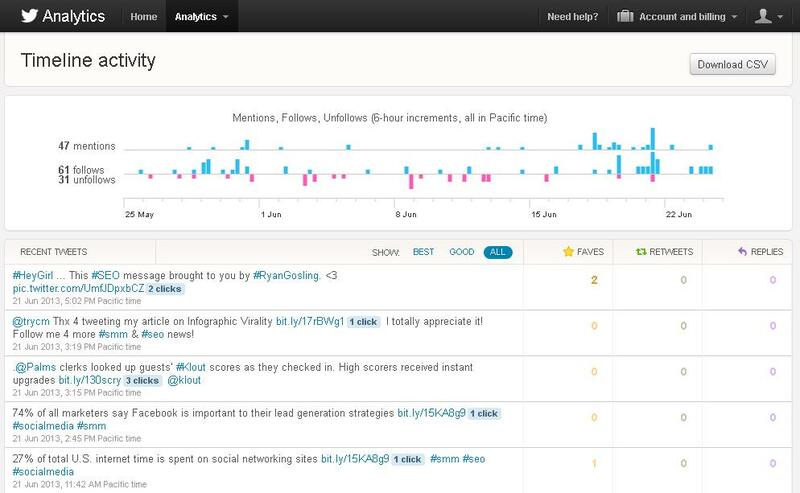 Let’s take a look at three great tools for tracking your Twitter progress. When you mouse over a particular date, you can see each day’s count of follows, unfollows and mentions. Below the graph, you can also see how many times a post’s link was clicked, as well as how many times the post was favorited, retweeted or replied to. There is a also a drop down for Followers. 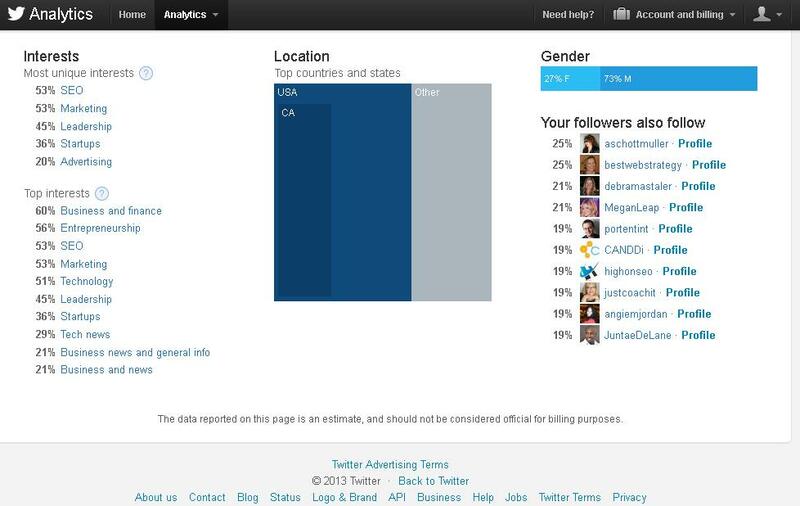 This section of the analytics shows you what your followers are interested in, where they’re from and who they follow. 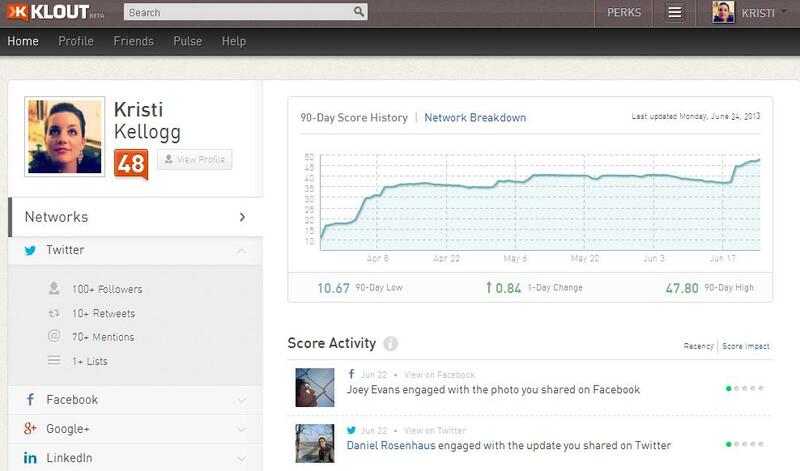 Best known for offering social assessment, Klout also has some handy analytics tools. 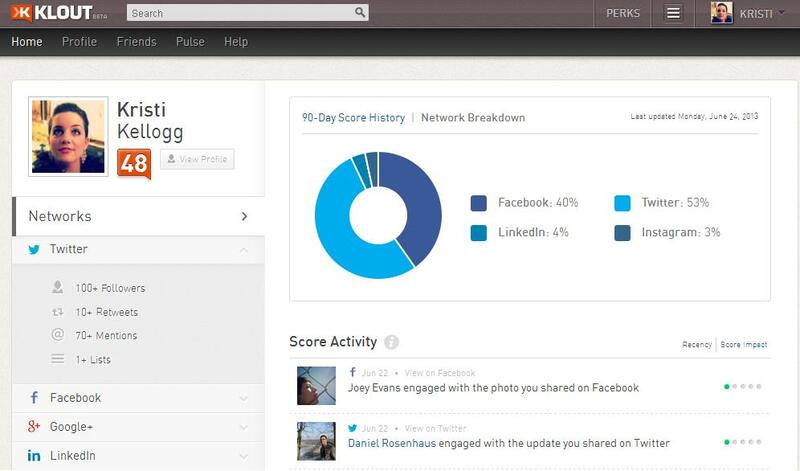 Klout takes a 90-day snapshot of your social media influence that is recalibrated daily. In addition to Twitter, you can integrate your Facebook, Google+, LinkedIn, Foursquare, Instagram, YouTube, Tumblr, Blogger, WordPress, Last.fm, Flickr and/or Bing accounts. Furthermore, Klout provides a breakdown of where you are engaging users the most. Klout also lays out your top “influential moments,” where influence is based on who engaged with your post. 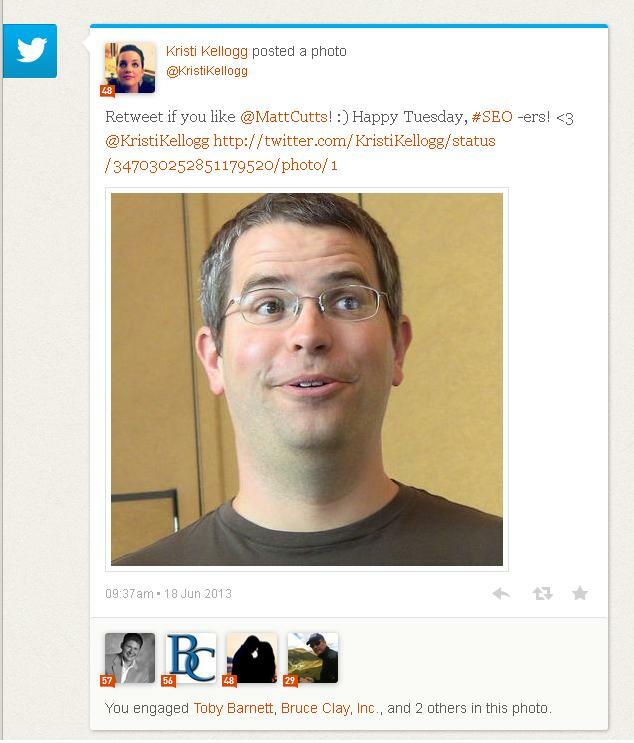 Apparently, tweeting about Matt Cutts was one of my recent influential moments. 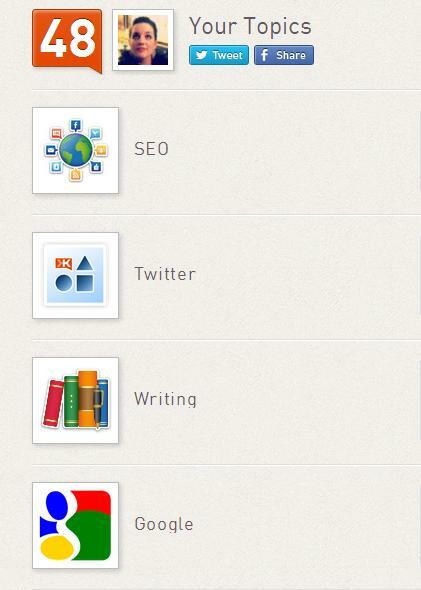 Klout also shows what topics you currently are influential in. 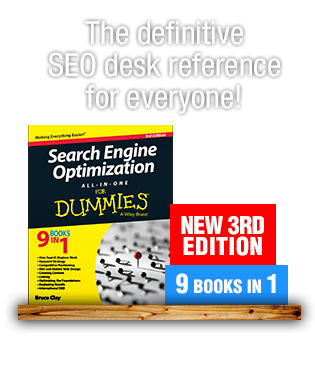 Bitly is a simple solution for seeing how many times a link was clicked on overall. Let’s say Bruce shares a link on Twitter, but then several others also shared that same Bitly link. With Bitly Stats, you can see how much of that link’s traffic came from your link versus the overall traffic for the link. This is helpful in determining if your followers were interested in the link you shared. If you are using Twitter to boost your brand or business’ visibility and steer traffic to your website, kudos — you are on the right track. Let analytics tools like Twitter Analytics, Klout and Bitly help you in your quest to connect with your clients and customers. Analytics will help you determine what is working and what isn’t working within your own unique group of followers … or in other words … what to tweet, or not to tweet. How have you leveraged analytics tools? Share with us in the comments.